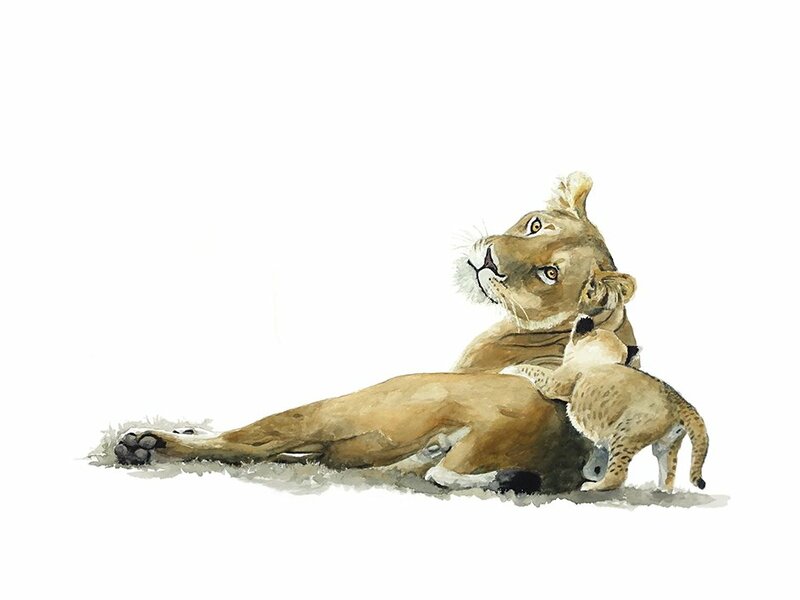 Original watercolour painting of a lioness and her cub. 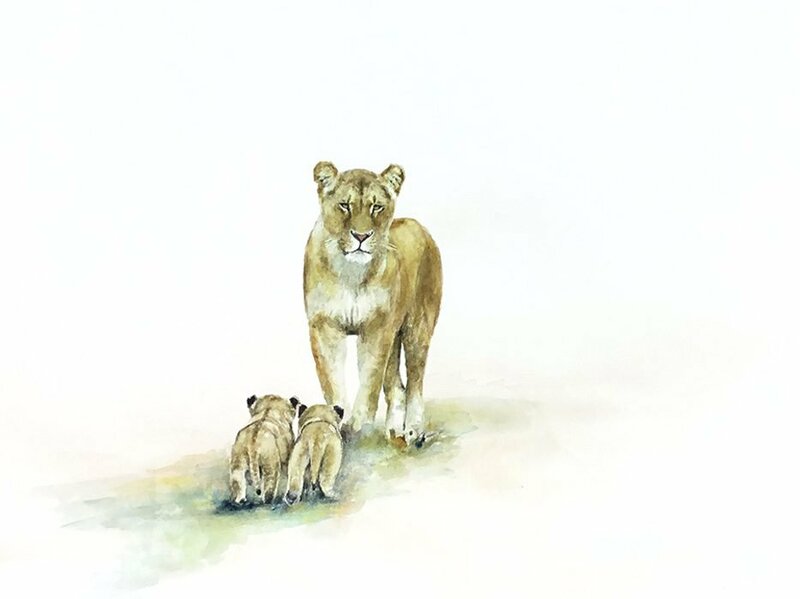 Painting of Lioness and Cub. First of all, this original watercolour watercolor aquarelle painting depicts the affection between a mother lion and her cub. 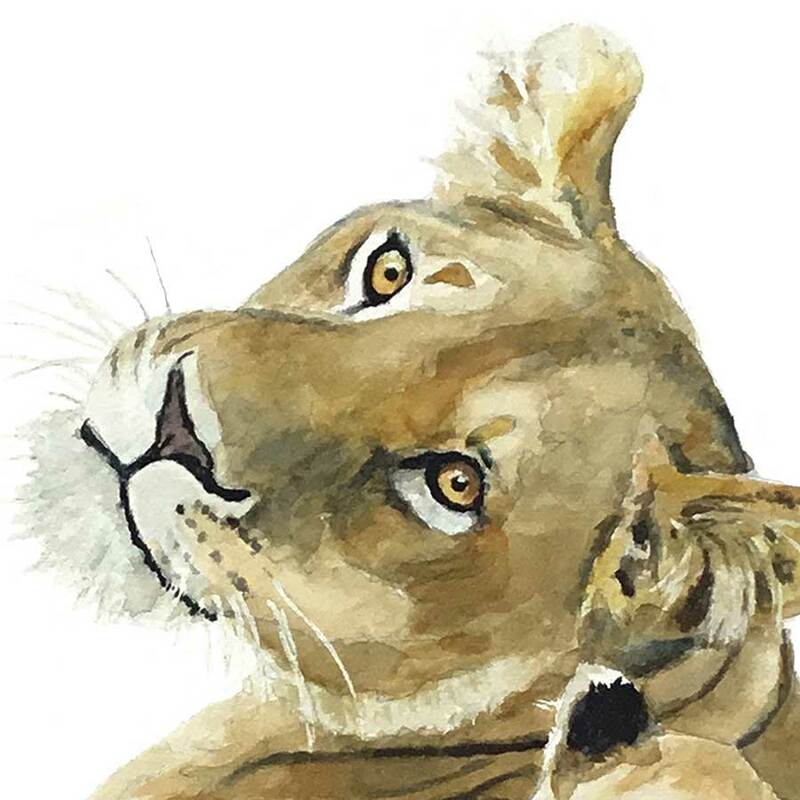 Secondly, it is an original wildlife painting of a lioness and lion cub that shows the perfect technique of watercolour. 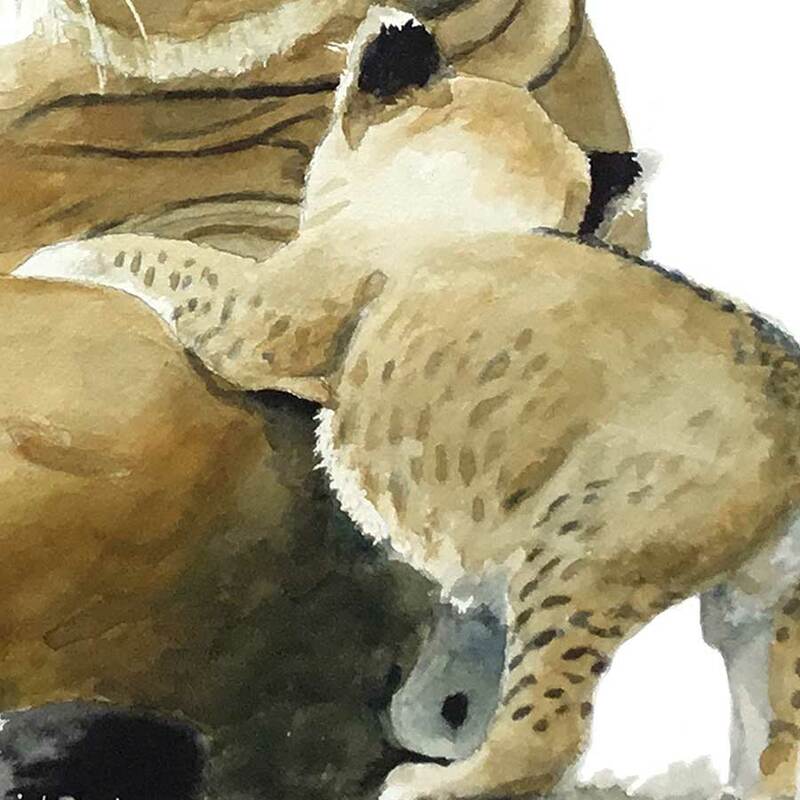 As a result, wildlife art depicts the Big Five Big 5, certainly the loving bond between mother and child. Lions and probably the most affectionate animals. Animal art that shows the special love between lions. Consequently, they form bonds for life. 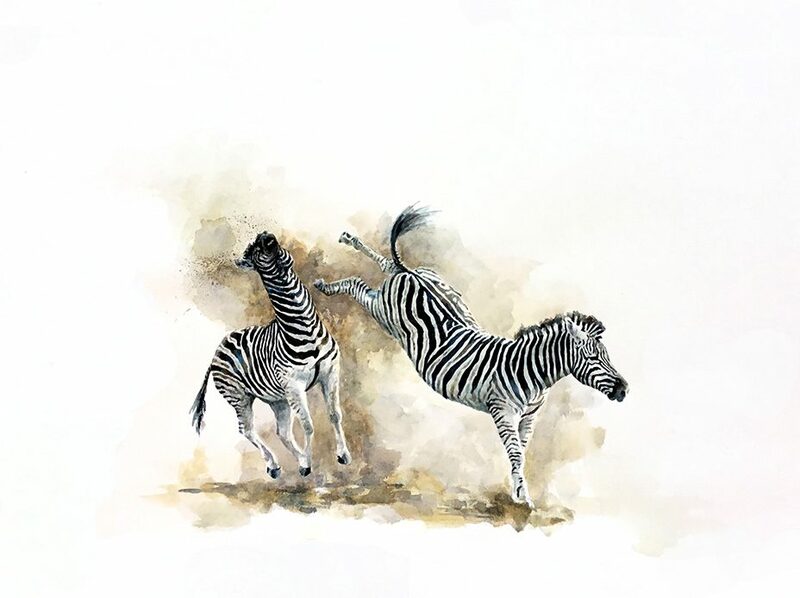 Sue Dickinson Sue Dickenson Sue Dickson Sue Dixon is a renowned South African wildlife artist. 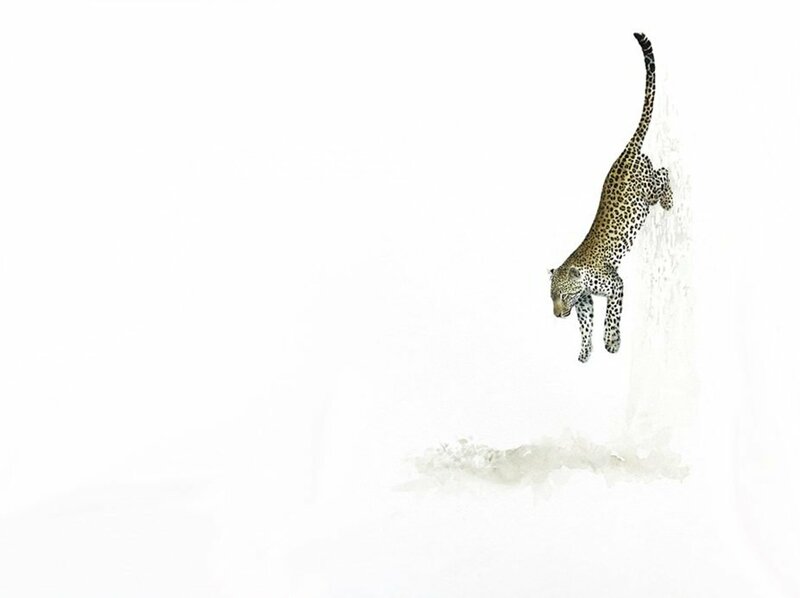 Prides consist of two to 12 related females and their young, and dominant males. Such males may form coalitions of two to six, and collectively hold tenure over prides. The roar of the Lion is an impressive sound and is perhaps the sound most associated with the African wild. Apart from roaring, Lions also communicate by scent-marking their surroundings, and even by their facial expressions and body postures. Lions display their aggression by showing their impressive canine teeth. Retracting their ears and displaying the dark patch behind the ears, their tails twitching in irritation.